Special Care is very gentle with 12,000 ultrasoft filaments. 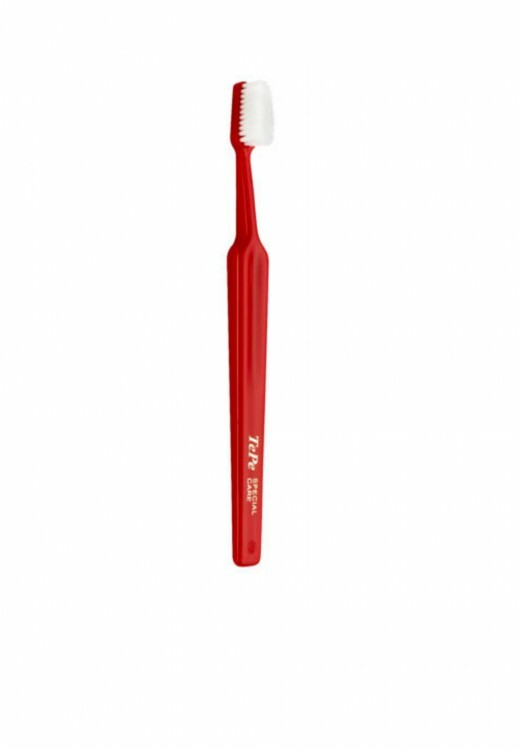 This toothbrush is recommended for brushing after oral surgery and for patients with sore or very delicate oral tissue, very sensitive root surfaces, extremely dry mouth, and after radiotherapy. Two brush head sizes; red: regular, blue: compact. The compact model is recommended for children and for patients with swelling and difficulty opening their mouths.